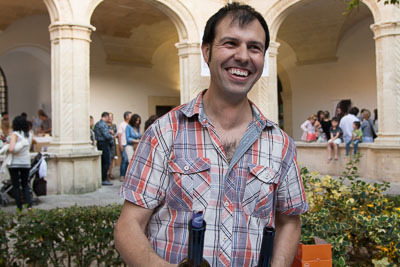 The 12th Tast de Vins de la DO Pla i Llevant in Manacor, Mallorca, was another great success. 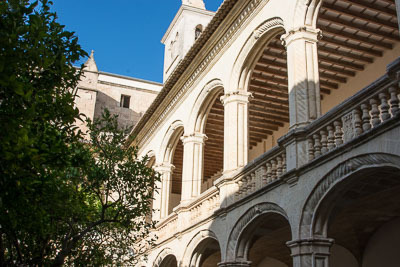 We’ve lived here eleven years and seen the annual event grow from its original location in the Museu de Enegistes on the outskirts of Manacor, to its current venue in the Sant Vicenç Ferrer cloister. 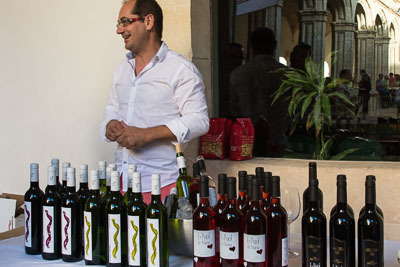 We don’t remember much about the wines in our first year at this event, as we were still to learn about the fantastic quality of wines produced on Mallorca. We do remember the tsunami of people rushing forward every time a waiter came into the area with a tray of free food. Dazed and battered, and with an empty tray, the waiter would emerge moments later and scuttle off for cover. Last Friday we were pleased to see that the layout of the cloister had changed for this year’s event. In previous years, the covered perimeter of the cloister was empty, with all the wineries having their stalls in the open central area. We were told there were 1,300 people there last year and the tight squeeze (and perhaps some red wine slopped by jostling elbows onto someone important’s outfit) led to a change of plan this year. Most of the stalls were set up under the covered area, which meant much more space for wandering around. A good move. Each of our two entrance tickets entitled us to a discount of 5 euros on a purchase, so we added a few bottles to our wine rack. Well, it would have been rude not to . . .
A hidden gem in Manacor – and the venue for the spring wine fair. 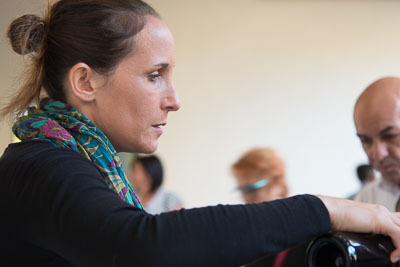 Sandra Adrian from Bodegas Bordoy. 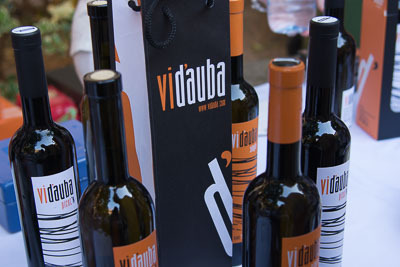 Vi d’auba wines – from Felanitx. 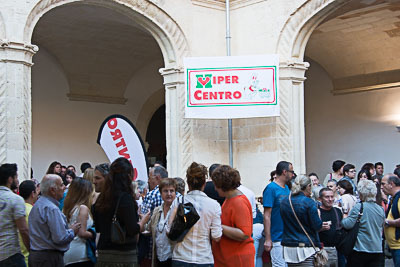 Manacor’s Hiper Centro provided the food – a popular feature of the fair. 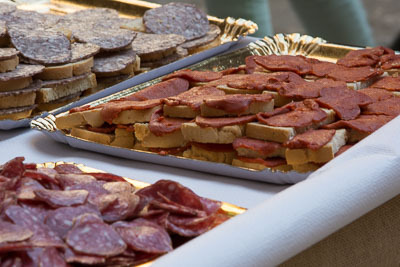 Traditional products on the food stall. 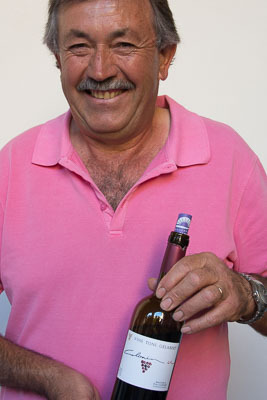 An event for all the family – even those too young for wine!